The Yoko Bedding Collection from Studio D features a quilted pattern allover with pom pom trim for an added accent. 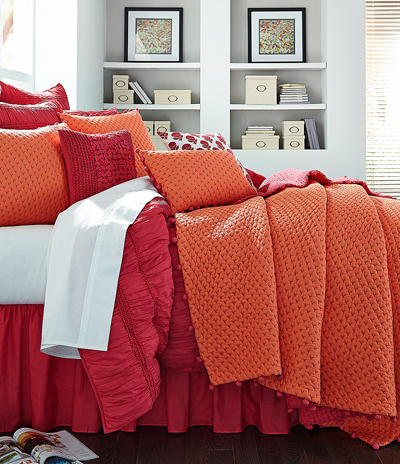 This classic look will add the perfect touch to any bedroom. $20-$299.99. Buy here.